Sprint Planning is a Scrum ceremony. It is a time box meeting to plan for Sprint at first day of each sprint. Team plans the content and task to-do during the sprint planning for the current sprint and starts the sprint formally on day one. Planning agenda is to discuss on what, why and how the top priority features can be realized as part of the current sprint. 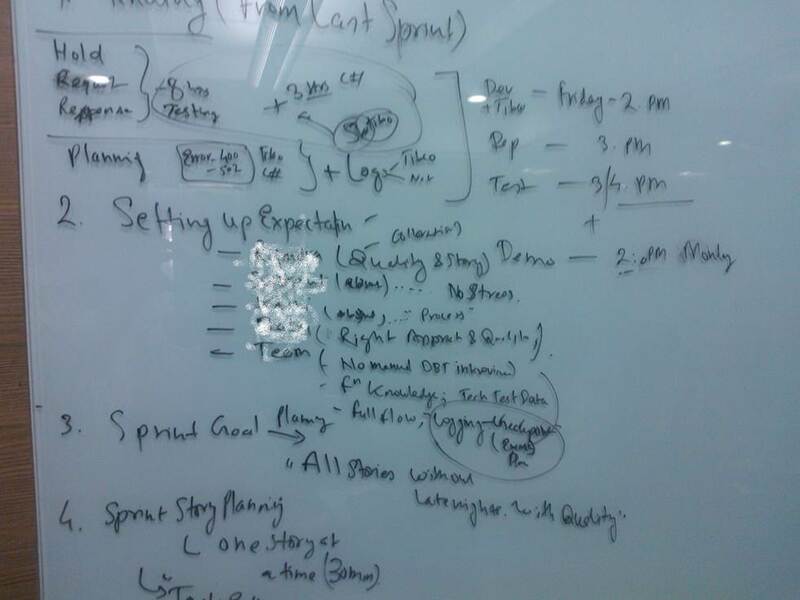 Sprint Planning is collaborative activity and is participated by Team, Scrum Master and Product Owner. Planning is time boxed for usually 2 hours each week long sprint. • Product Owner shares the wish list of items for next sprint. • Team focuses on how to implement the items that the Team decides to take on. • Team forecasts the amount of items they can complete by the end of the Sprint. • However some teams use Capacity Based, Historical Velocity Based & Fine Grained Task estimation, and Planning Poker. Sprint planning meeting happens each scrum and not only once for all the sprint.